The first ever summer Olympics were held in 1896. Since then it has evolved into a multi-national sporting event that is held every four years. There are several games and events in the Olympics in which there are individual, double and team competitions. 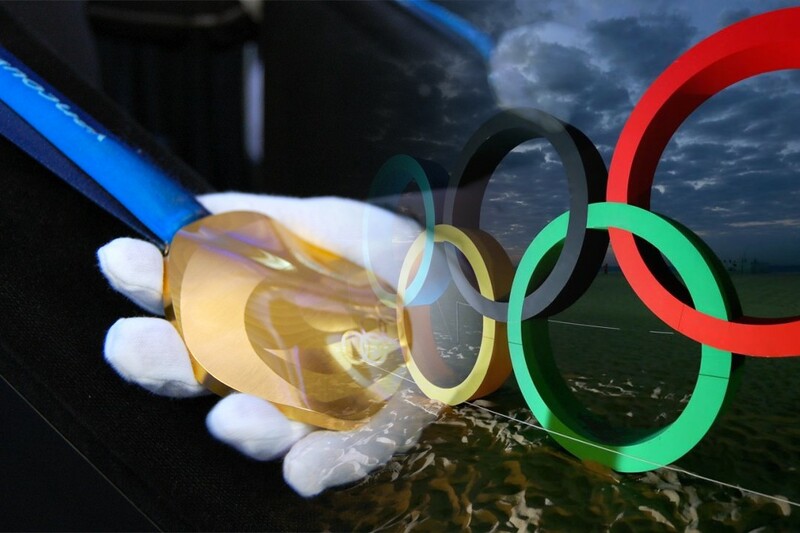 Since the earliest of times, the summer Olympics has enjoyed resounding success. That success can be gauged by the participation and number of events in the old and current Olympics. The 1896 Olympics had barely 250 competitors, all male, that came from 14 nations to compete in a modest 42 events. The 2016 Olympics in Rio de Janeiro had a total of 302 events which had over 11,200 competitors from 205 distinct nations. 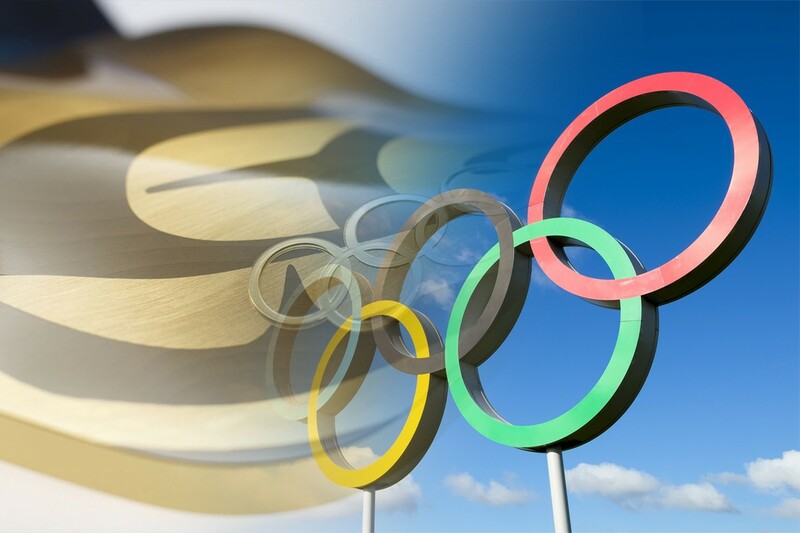 The popularity of Summer Olympics had translated into the Olympics being launched for winter games as well. The first ever Winter Olympics were held in 1924. It includes sports that are performed or competed on snow and ice. 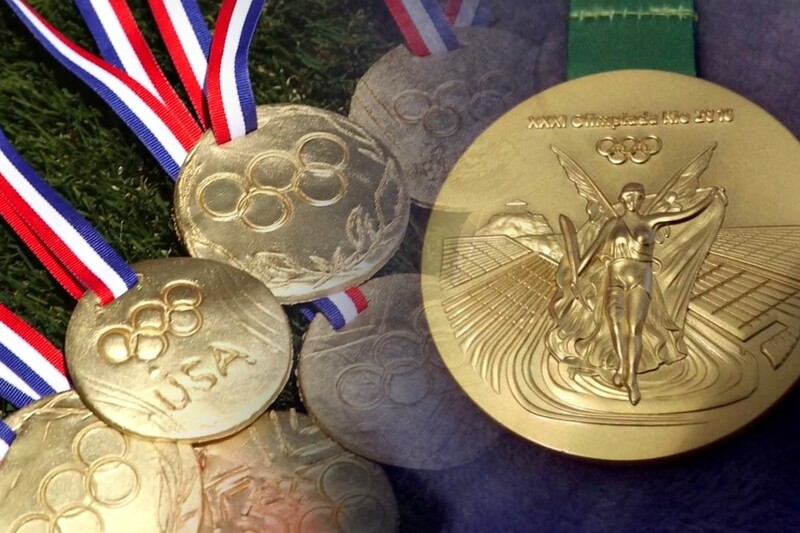 However we are counting the medals that countries have won in the Summer Olympics for the all-time statistics. Speaking of the popularity of Summer Olympics, the number of female competitors and the percentage of them is also increasing every competition. The percentage of female athletes has risen from 0% in 1896 to over 45% in the 2016 Summer Olympics. Hungary has participated in a total of 26 distinct games. The country has a total of 491 medals with Gold medals more than the other two. 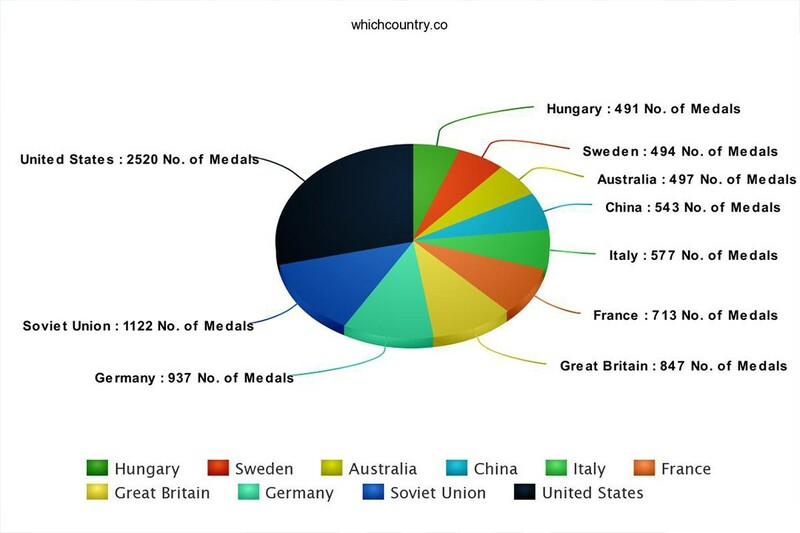 Sweden has 494 medals in total but it has less gold medals than Hungary. Hungary has 175 while Sweden has 147. 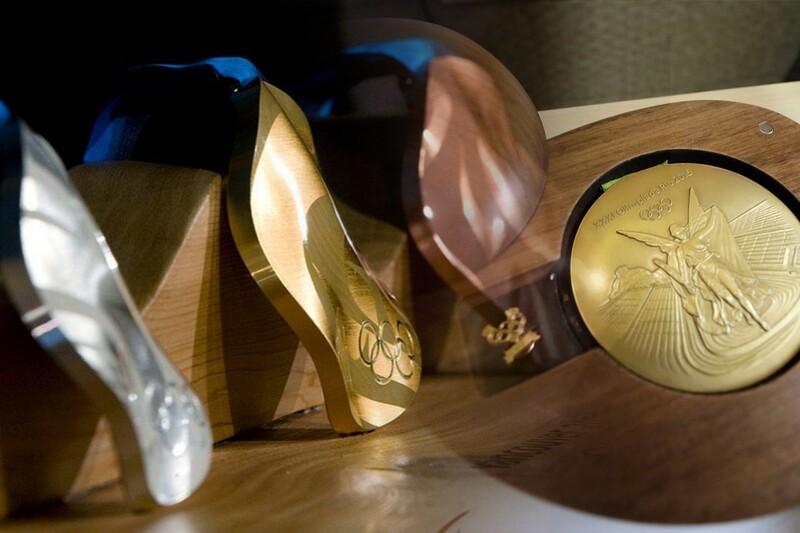 It has more silver and bronze medal that puts the total tally in its favor. Australia has exactly the same number of gold medals as Sweden but the country has even more bronze than Sweden. Australia has 497 medals. China has a much bigger lead than the 8th place as the last three places were very congested. China has 543 medals out of which 227 are gold. It still has less bronze than any of the countries listed above. Italy has a total of 577 medals with 206 gold. Italy has 193 bronze medals that are more than all of the countries above. France has won 713 medals in total which puts it at an unassailable fifth place in the list, at least for the next several events. It is also the first country in the list to have more than 200 medals for gold, silver and bronze each. Great Britain has been in the race for more medals for quite some time. The number of medals for the country in recent events has decreased a little. It still sits comfortably at fourth place with 847 medals. GB has also participated in most distinct game with 28. Germany doesn’t have gold medals in the 300s but it has a lot of silver and bronze, with bronze being 349. Germany’s 937 gold might have been much higher had it not been the separation of East and West Germany. Soviet Union has participated in just 10 distinct games and it still has 1122. The former Soviet Union also has the highest average of gold medal per games. United States has participated in 27 distinct games until now. It has over 1000 gold medals alone. The super power has 2,520 medals in total which is an unassailable lead for centuries to come. Q : Which country has won the highest number of Gold Medals in the World ? Ans : At present United States is the largest Winner in Olympics games and has won the most Gold Medals ever. U.S is said to be fastest growing countries in the world in number of award winning activities.